PASADENA, Calif. -- NASA mission controllers have not heard from the Mars Exploration Rover Spirit since March 22, and the rover is facing its toughest challenge yet - trying to survive the harsh Martian winter. The rover team anticipated Spirit would go into a low-power "hibernation" mode since the rover was not able to get to a favorable slope for its fourth Martian winter, which runs from May through November. The low angle of sunlight during these months limits the power generated from the rover's solar panels. During hibernation, the rover suspends communications and other activities so available energy can be used to recharge and heat batteries, and to keep the mission clock running. On July 26, mission managers began using a paging technique called "sweep and beep" in an effort to communicate with Spirit. "Instead of just listening, we send commands to the rover to respond back to us with a communications beep," said John Callas, project manager for Spirit and its twin, Opportunity, at NASA's Jet Propulsion Laboratory in Pasadena, Calif. "If the rover is awake and hears us, she will send us that beep." Based on models of Mars' weather and its effect on available power, mission managers believe that if Spirit responds, it most likely will be in the next few months. However, there is a very distinct possibility Spirit may never respond. "It will be the miracle from Mars if our beloved rover phones home," said Doug McCuistion, director of NASA's Mars Exploration Program in Washington. "It's never faced this type of severe condition before - this is unknown territory." Because most of the rover's heaters were not being powered this winter, Spirit is likely experiencing its coldest internal temperatures yet -- minus 55 degrees Celsius (minus 67 degrees Fahrenheit). During three previous Martian winters, Spirit communicated about once or twice a week with Earth and used its heaters to stay warm while parked on a sun-facing slope for the winter. As a result, the heaters were able to keep internal temperatures above minus 40 degrees Celsius (which is also minus 40 degrees on the Fahrenheit scale). Spirit is designed to wake up from its hibernation and communicate with Earth when its battery charge is adequate. But if the batteries have lost too much power, Spirit's clock may stop and lose track of time. The rover could still reawaken, but it would not know the time of day, a situation called a "mission-clock fault." Spirit would start a new timer to wake up every four hours and listen for a signal from Earth for 20 minutes of every hour while the sun is up. The earliest date the rover could generate enough power to send a beep to Earth was calculated to be around July 23. However, mission managers don't anticipate the batteries will charge adequately until late September to mid-October. It may be even later if the rover is in a mission-clock fault mode. If Spirit does wake up, mission managers will do a complete health check on the rover's instruments and electronics. Based on previous Martian winters, the rover team anticipates the increasing haziness in the sky over Spirit will offset longer daylight for the next two months. 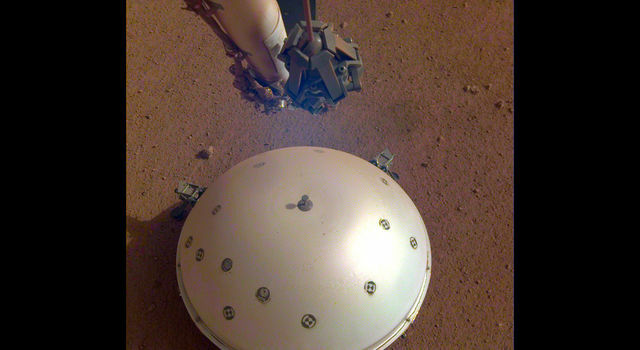 The amount of solar energy available to Spirit then will increase until the southern Mars summer solstice in March 2011. If we haven't heard from it by March, it is unlikely that we will ever hear from it. "This has been a long winter for Spirit, and a long wait for us," said Steve Squyres, the principal investigator for NASA's two rovers who is based at Cornell University, Ithaca, N.Y. "Even if we never heard from Spirit again, I think her scientific legacy would be secure. But we're hopeful we will hear from her, and we're eager to get back to doing science with two rovers again." Spirit and its twin, Opportunity, began exploring Mars in January 2004 on missions planned to last three months. Spirit has been nearly stationary since April 2009, while Opportunity is driving toward a large crater named Endeavour. Opportunity covered more distance in 2009 than in any prior year. 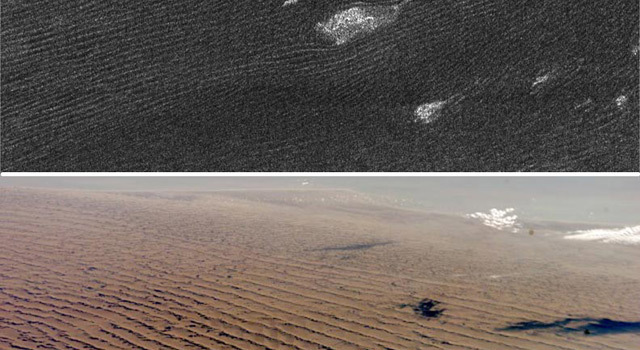 Both rovers have made important discoveries about wet environments on ancient Mars that may have been favorable for supporting microbial life. NASA's JPL, a division of the California Institute of Technology in Pasadena, manages the Mars Exploration Rover project for NASA's Science Mission Directorate in Washington. 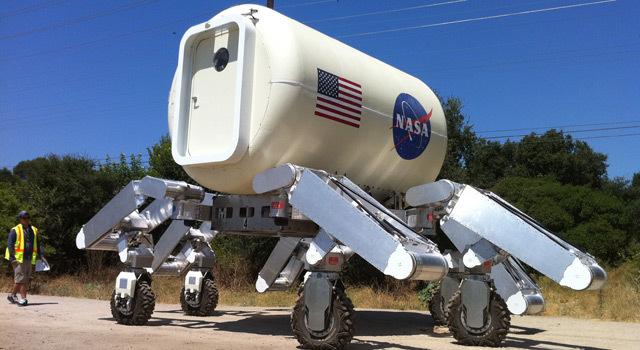 For more information about the rovers, visit http://www.nasa.gov/rovers.